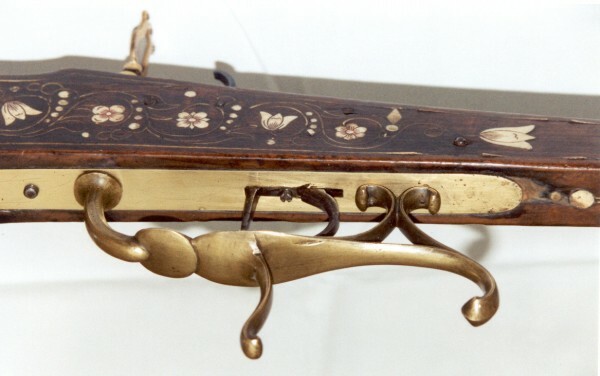 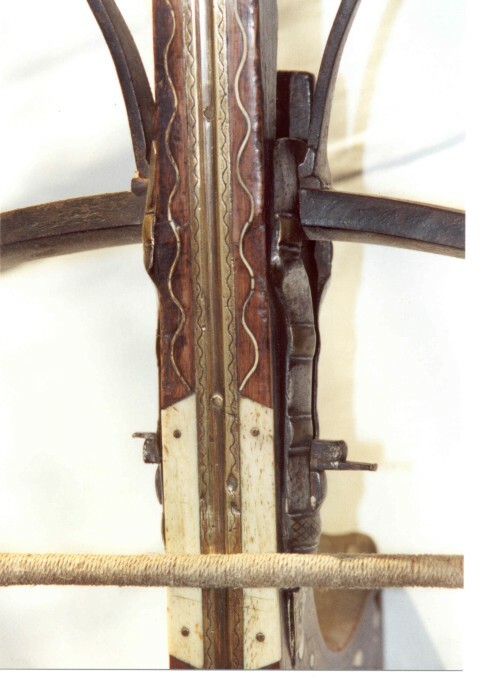 The next crossbow is very interesting because it is built in 1768. 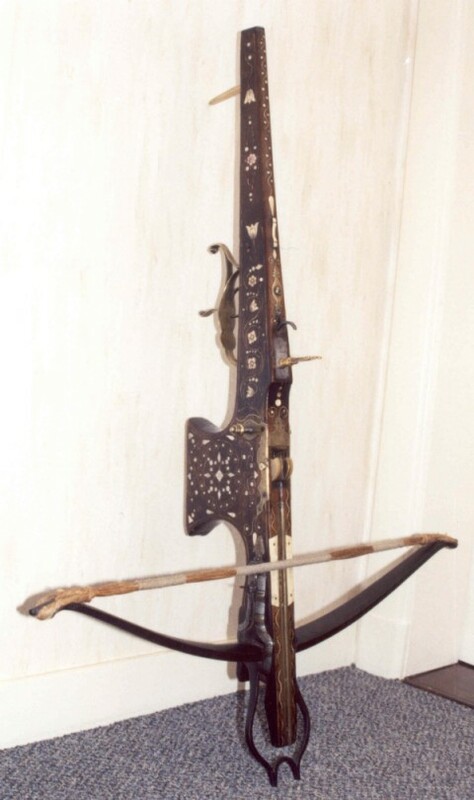 Mostly these kind of nice decorated crossbows were not used. 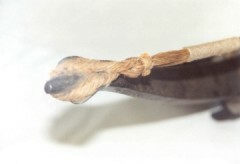 On this one you can see clearly that it is used. 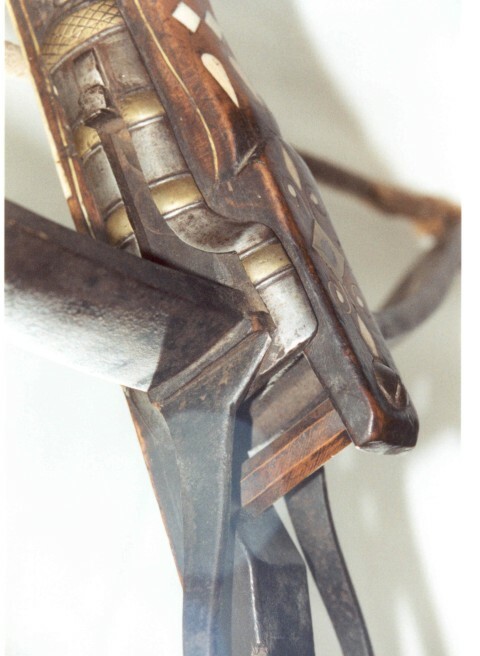 It is also modified (unfortunately) in the past for target shooting. 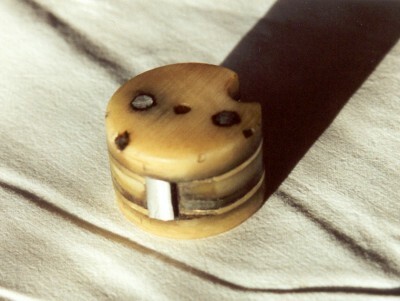 Look at the pin where the activating tool grinded away some steel. 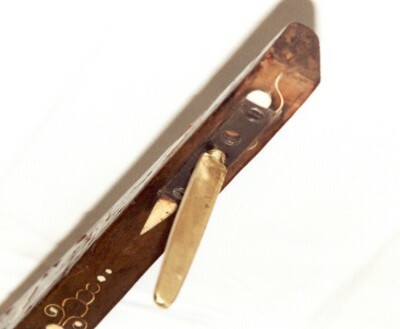 Look at the traces in the tiller from the activating tool. 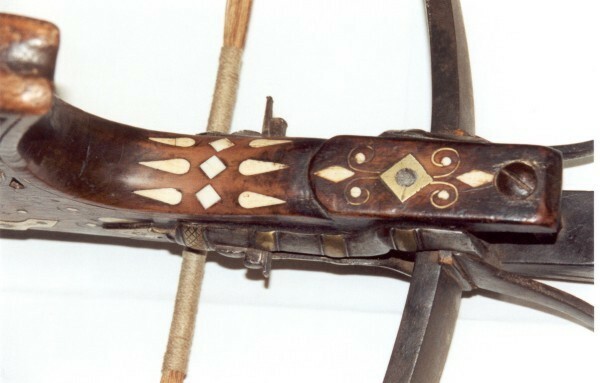 A detail of the steel prod, remark the bowstring. 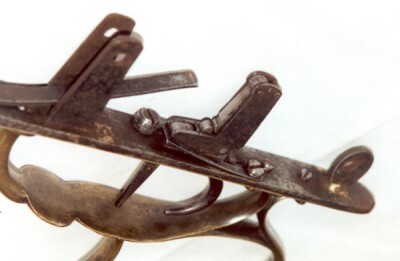 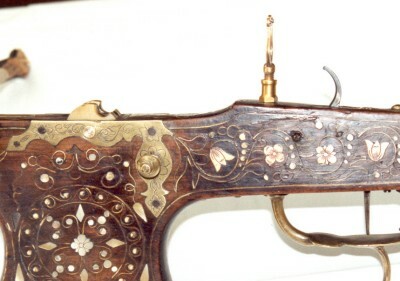 A detail of the trigger mechanism. 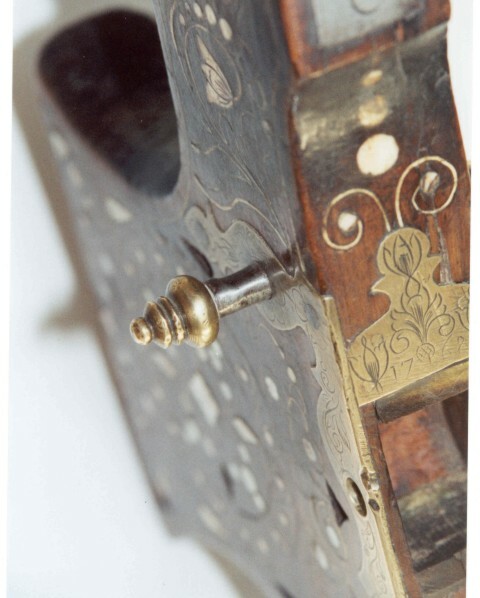 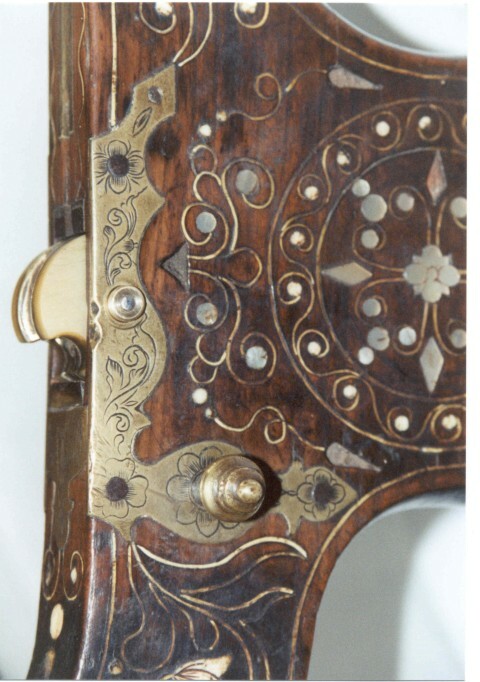 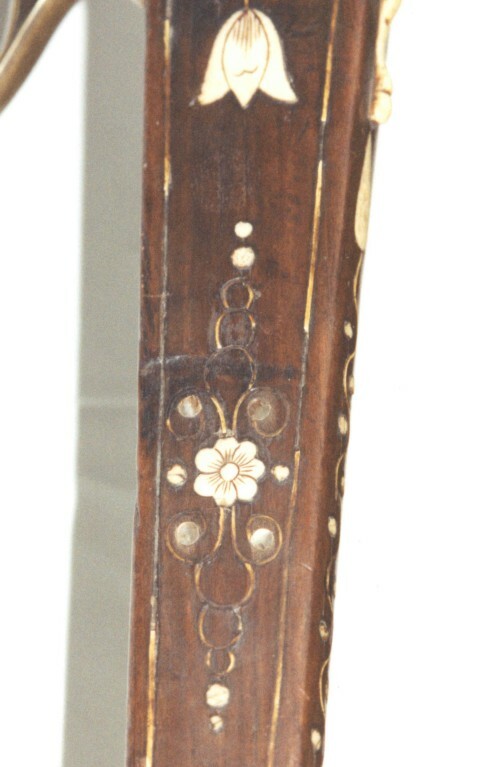 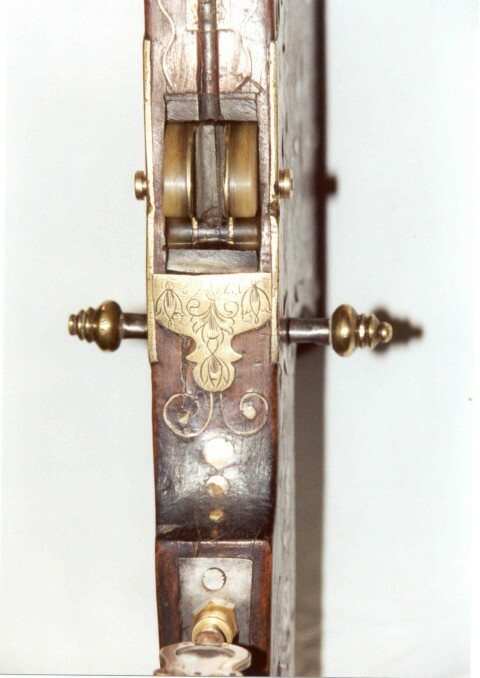 A detail of the trigger mechanism inside. 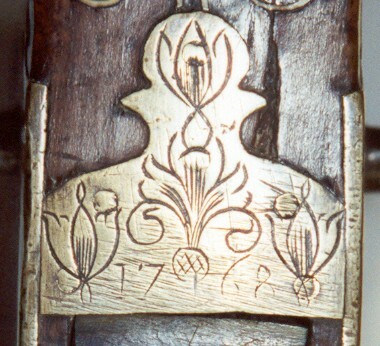 Some details of the nut.